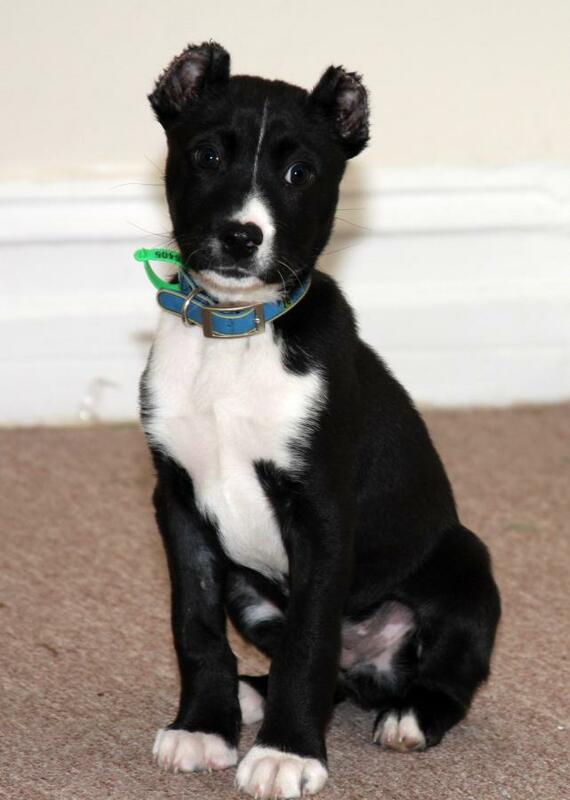 Would you like to adopt Buckley the puppy? Applications to adopt Buckley the pup have now closed. Thank you to all who applied! A month has passed since Buckley first arrived at The Lost Dogs’ Home, after suffering a callous act of cruelty in which his ears and tail were cut off with scissors or shears. Now 12 weeks old, Buckley is still in foster care with Jodie, a senior staff member. His emotional and physical wounds are healing – although his rehabilitation will be a long and involved process – and Jodie is extremely happy with how Buckley is progressing. Despite our earlier belief that Buckley may have been ready to go to a new home in mid-August, it has been decided that it is best he remain in foster care until September. We will then have a better understanding of his temperament and what needs he will have, ensuring that he is rehomed with the most suitable person or family. We have already received thousands of applications to adopt Buckley and thank everybody for taking the time to enquire about him. Owing the number of applications already received, but in fairness to everyone wishing to apply, applications will close at 5.00pm on Monday 17 August. If you have previously applied, either by email or mail, we have your details on file so you need not re-apply. Thank you. You can keep updated on Buckley at .